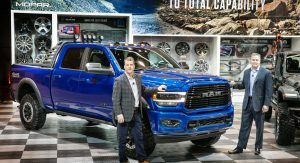 The 2019 Chicago Auto Show turned out to be pretty busy for Ram Trucks. 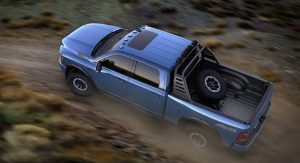 The FCA-owned commercial vehicle maker has unveiled the 2019 Chassis Cab lineup, the new Multifunction Tailgate for the Ram 1500, and now the Ram 2500 Heavy Duty accessorized by Mopar. 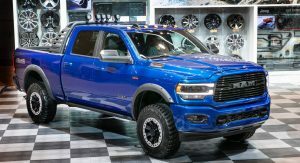 The show truck that’s on display in the Windy City highlights more than 170 Mopar products available for the new 2019 Ram Heavy Duty trucks. 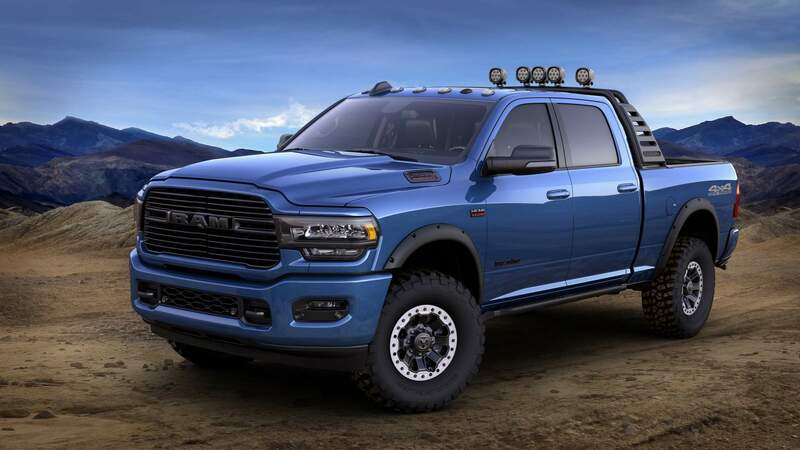 Based on a 2019 Ram 2500 Heavy Duty Big Horn powered by the 6.4-liter HEMI V8 engine, the modified truck packs series of vehicle-launch Mopar parts and accessories as well as a few unique conceptual products. 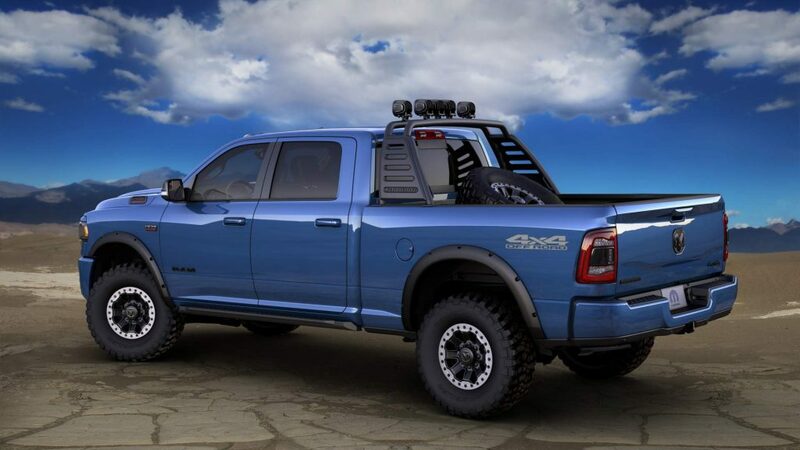 Painted in a monochromatic Blue Streak production paint, the truck boasts a black, powder-coated Ram Bar located in the bed topped with five 5-inch LED off-road lights (4,800 lumens each), a rear bed step that facilitates access to the cargo area, and a set of Mopar off-road wheel flares. 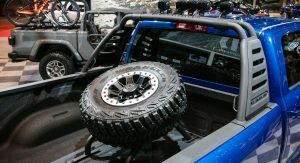 Mopar accessories that are yet in concept form include the powder-coated off-road rock rails, 17-inch custom-milled concept beadlock wheels shod with Goodyear tires, and a rear spare tire carrier. 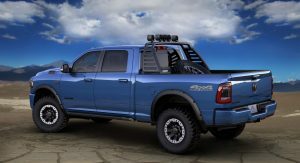 Inside, Mopar has added brushed stainless steel door sill guards with “Ram” lettering, and bucket-style, waterproof all-weather floor mats. As always, Mopar’s accessories have been developed in close cooperation with Ram. Most of the production parts and accessories will be available right at the 2019 Ram Heavy Duty launch. 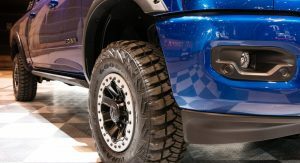 In addition to the accessories showcased in Chicago, Mopar will offer towing accessories including a trailer camera, fifth-wheel hitch, and gooseneck ball kit. 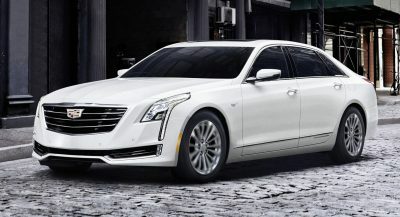 The catalog also features a bed extender, bed liners, cargo ramp, tonneau covers, side steps, toolboxes, and heavy-duty splash guards. 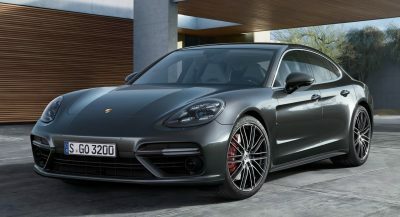 For the interior, Mopar will offer Katzkin leather seats and a wireless charger, among other things. 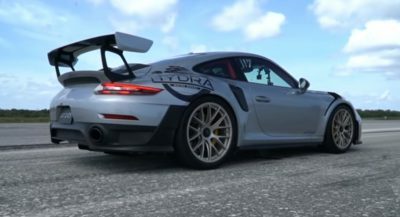 It only gets better looking with every new version. Yeah, it truly is a handsome truck. 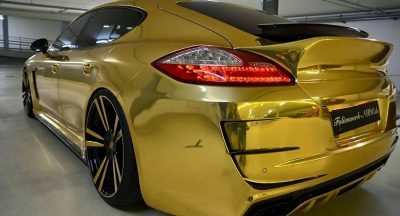 Really love the way they load that spare wheel.